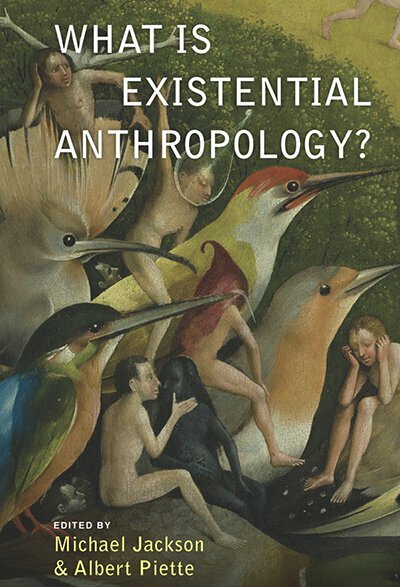 BERGHAHN BOOKS : What Is Existential Anthropology? What is existential anthropology, and how would you define it? What has been gained by using existential perspectives in your fieldwork and writing? Editors Michael Jackson and Albert Piette each invited anthropologists on both sides of the Atlantic to address these questions and explore how various approaches to the human condition might be brought together on the levels of method and of theory. Both editors also bring their own perspective: while Jackson has drawn on phenomenology, deploying the concepts of intersubjectivity, lifeworld, experience, existential mobility, and event, Piette has drawn on Heidegger’s Dasein-analysis, and developed a phenomenographical method for the observation and description of human beings in their singularity and ever-changing situations. Michael Jackson is Distinguished Professor of World Religions at Harvard Divinity School. He has done fieldwork among the Kuranko of Sierra Leone, the Warlpiri of Central Australia, the Kuku-Yalanji of Cape York Peninsula, and with African migrants in Europe. He is the author of over thirty books of ethnography, poetry, and fiction. Albert Piette is Professor of Anthropology at Paris West University Nanterre and researcher at Centre for Ethnology and Comparative Sociology. In fieldwork, he has observed carnivals and festivals in Belgium, and quotidian life in Catholic parishes of France. He is author of over fifteen books in French about the epistemology and observation of details, religious phenomena, and rituals. Chapter 8. Considering Human Existence: An existential reading of Michael Jackson and Albert Piette.